The session was very interactive. The trainer Mr.Shekar Burrah was dynamic and kept the session alive. Thanks for giving me the opportunity to take part in it. KnowledgeHut was excellent at understanding my needs and suggested the kind of training suitable for me. They helped me in each step right from the payment to providing the location details. The instructor was superb and his class was very interesting with the participation of the trainees! I liked the venue too. Overall I would rate KH as fantastic! The city of London, located in Southwestern Ontario of Canada, transformed into a technology hub due to growth in Digital Creativity and Information technology sectors. Other prominent industries which contribute to the economy of the city include Manufacturing, Medical Research, Insurance, Life Sciences, and Biotechnology. 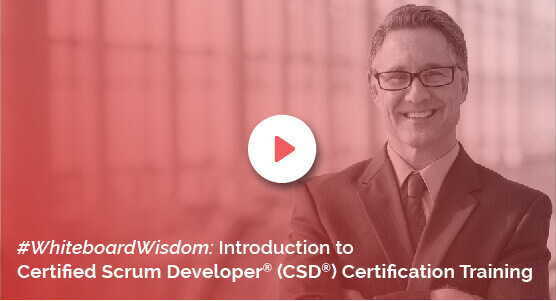 KnowledgeHut Academy is contributing to the success story of the city by introducing CSD certification in London Ontario via classroom training sessions. The CSD training in London Ontario is a 5-day course conducted by experienced instructors. The training begins with the introduction to CSD basics on Agile, Scrum basics, Roles, Ceremonies, and Sprint. The next day trainer lays emphasis on CSD elective topics, which covers Acceptance Test Driven Development, Gherkin, Behaviour Driven Development, Fitnesse and Selenium. Effective Lectures, Coaching, Workshops and Practice sessions have made the CSD certification in London Ontario one of the popular courses in the city. SOLID design principle and learning of design patterns and collaboration skills are incorporated into the course curriculum. Participants get a two-year membership with Scrum Alliance, once they complete the CSD training in London Ontario successfully. You can create quality software that aligns with a certain standard and apply best practices. You would be able to implement just-in-time development thereby preventing any overdesigns that may occur. Follow pair-programming, use better alternative designs, cut-down on unnecessary work by using an iterative process. Apart from that you also gain 100 days complimentary access to Agile and Scrum e-learning program. Along with cost-benefit, the Certified Scrum Developer Training in London Ontario contributes to the overall career progress of a participant. Register today to learn more about Certified Scrum Developer Certification in London Ontario.